More than most school administrators, David Naranjo knows what it’s like to be a teen-ager struggling to make his way in high school. That empathy comes from personal experience. Naranjo was once a high school dropout himself. He has felt the uncertainty and the disillusionment, and sensed the lowered expectations that others have for teens in that situation. And he’s living proof that there is a way out. That difficult family or financial circumstances or poor choices made as a teen don’t have to determine the rest of your life. There is hope. 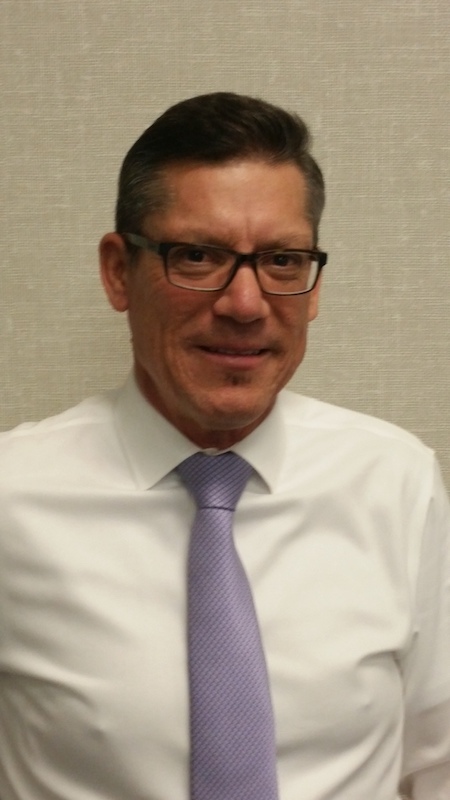 As the new principal at Denair Charter Academy, Naranjo wants to be a role model for his independent study high school students, many of whom confront similar challenges as he once did growing up in San Diego County. “I tell them, ‘I was a high school dropout,’ ” Naranjo said. “I had a tough family situation, but I went back and graduated from a continuation school. I started college when I was 23 and became a straight-A student. Officially, Naranjo’s title is senior director of student support services. In addition to his duties at DCA, he will oversee various state-mandated responsibilities for all of Denair Unified’s four campuses. But much of his initial focus will be on the staff and students at DCA, which offers home-school options for parents of students up to eighth grade in addition to independent study for high schoolers. Naranjo replaces Brian LaFountain at DCA. 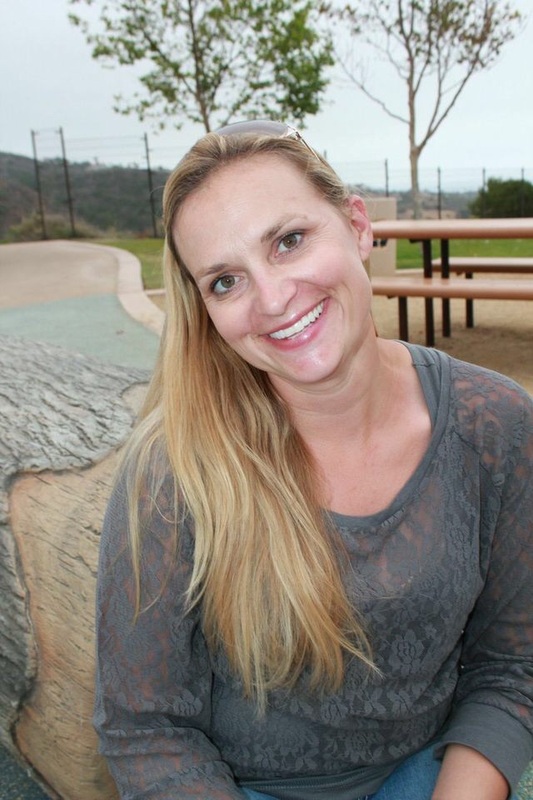 LaFountain moves across the street to Denair Middle School as principal. 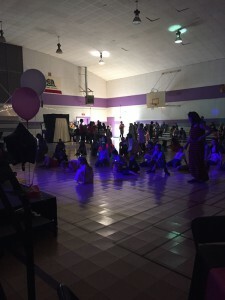 Even three days later, students, their families and staff members were buzzing about how much fun they had at Denair Elementary School’s first-ever dance event. Featuring “An Evening in Paris” theme, the May 1 event attracted more than 400 people to the school’s gym for three hours of Gaelic-inspired gaiety. Many of the young boys donned nice shirts and ties, and the girls wore pretty pastel dresses. Their parents and older siblings also wore attire that would have been fashionable on the Champs de Elysees or at a restaurant overlooking the Seine River. The gym was festively decorated with colored lights and small tables with miniature Eiffel Towers, transforming it into a faux Parisian nightclub. 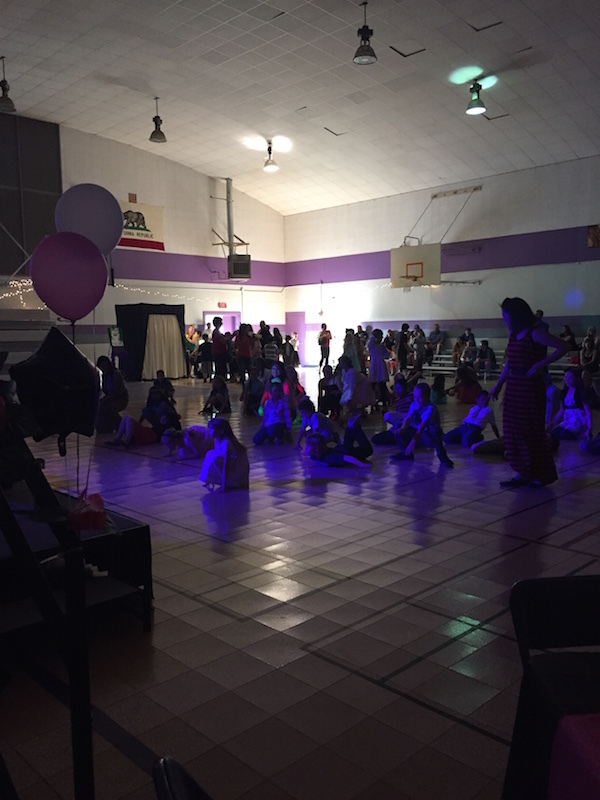 The theme was chosen by the parents’ clubs that spearheaded and organized the dance, said Principal Sara Michelena. “It was super cute and totally age appropriate,” she said, giving special thanks to parents Mary Prine, Kalee Lopes and Troy and Debbie Edwards for their hard work in making the night come to life. Michelena estimated that two-thirds of the 300 families whose children attend the elementary school and adjacent Denair Academic Avenues participated in the party. 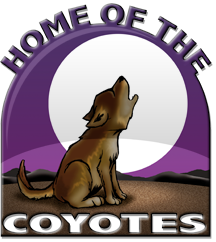 Denair Unified School District trustees enthusiastically approved a plan Thursday night to create a new elementary charter school for next year that would combine Spanish instruction for all students with rigorous core subjects and exposure to fine arts. One of the unique features of the Denair Elementary Charter Academy, or DECA, would be a dual immersion English/Spanish class for kindergarteners. The class would follow the 90% Spanish and 10% English dual immersion model, said Principal Sara Michelena. The goal is to have a 50/50 mix of English and Spanish speakers. The intent, she said, is to add a dual immersion class at successive grade levels each year as the first group of kindergartners gets older. Response has been strong, Michelena said. Already, 36 kindergarteners have signed up for the immersion program. DECA would replace the current charter program, known as Denair Academic Avenues. Denair Elementary School, which shares the same campus today, will technically remain in existence, though district officials expect most of the students to enroll in the DECA program. Students in the same grade level will be in the same class for the core programs, but DECA students will have access to more electives. “Because this is such a powerful program, we think the choice is easy,” Rosander said. Trustee Sandi Dirkse said the early community reaction to the new charter has been tremendous. 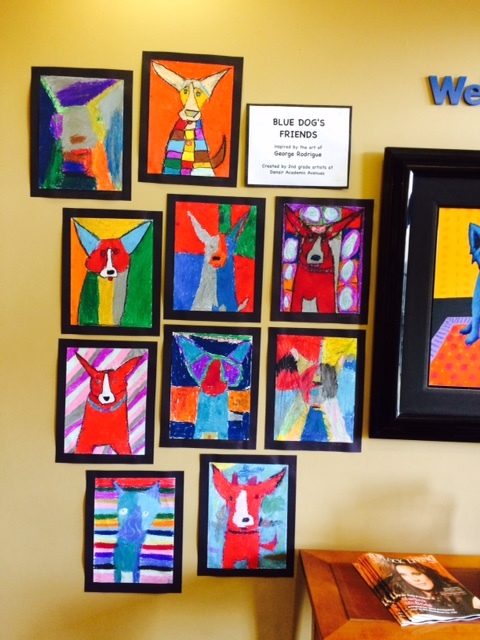 Second graders at Denair Academic Avenues learned about the artist George Rodrigue and his famous Blue Dog works. 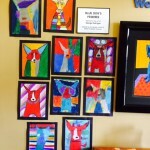 Their teacher, Nancy Tanner, guided them in drawing their own Blue Dog outline, which was then followed by their own creative colors and designs. 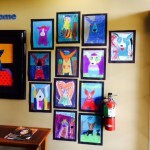 The resulting oil pastel drawings were an explosion of whimsical color and pattern! Dr. Rob Santos, D.V.M. 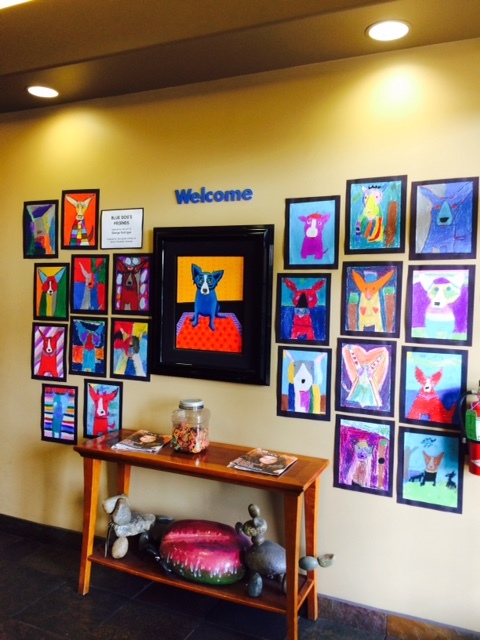 at Monte Vista Small Animal Veterinary Hospital was gracious enough to hang the “guest artists'” work in his lobby, surrounding his own original painting by Rodrigue. 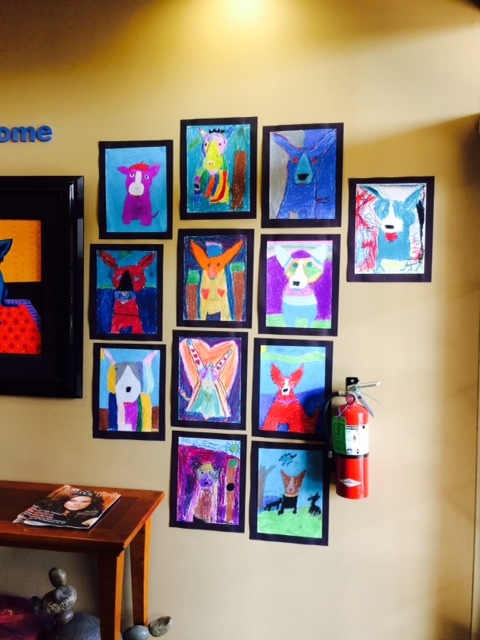 Stop by and see “Blue Dog’s Friends” at MVSAH. You won’t be disappointed! 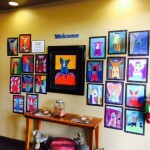 Experience and education: I have taught at Denair schools for 11 years. I grew up in Denair and attended schools here from kindergarten through 12th grade. I went to Westmont College in Santa Barbara and graduated with a bachelor’s degree in kinesiology. I earned my teaching credential through California State University, Stanislaus, and went on to complete my master’s in education there as well. Why most inspires you about teaching? I love that as a kindergarten teacher I get to be the students’ first experience with education in the school setting. I love to see when my students are excited about what they are learning and eager to keep trying when things seem difficult. My main inspiration is that the kids will have a love of learning and the confidence they will need during their next years in school. What are your biggest challenges as a teacher? My biggest challenges as a teacher are to bring a group of students who are often on vastly diverse paths and reach them all, taking into account that there are 20-30 individuals in a class each year and tailoring our program and curriculum to meet all of their needs.